A new study shows chemotherapy can cause malignant cancer cells to spread throughout the body — increasing the risk of fatality from the disease. “Dr George Karagiannis, of the Albert Einstein College of Medicine of Yeshiva University, New York, found the number of doorways was increased in 20 patients receiving two common chemotherapy drugs. 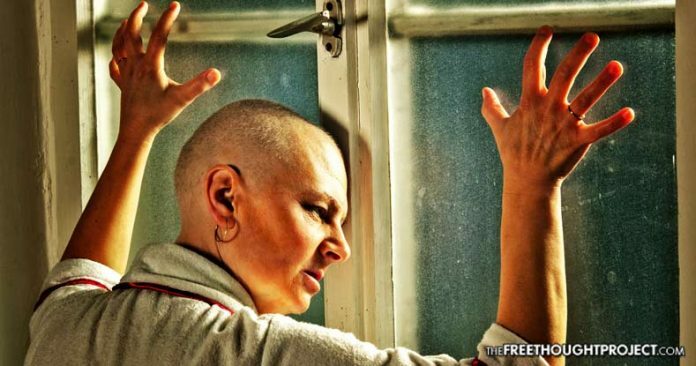 Due to this astonishing risk, Karagiannis recommends breast cancer patients be meticulously monitored upon beginning chemotherapy for signs the dangerous cells have begun circulating elsewhere or indications those ‘doorways’ are opening. “One approach would be to obtain a small amount of tumour tissue after a few doses of preoperative chemotherapy,” the doctor explained. Karagiannis emphasizes this does not mean patients should abandon chemotherapy outright; rather, medical personnel should closely observe patients to ensure cancer cells aren’t spreading elsewhere. Although this study focused on breast cancer, Dr. Karagiannis and the other researchers intend to study other cancers to see if chemotherapy acts equivalently. Another recent study of chemotherapy found, in the treatment of leukemia, following the traditional treatment with cannabinoids — the active compounds in the federally-banned cannabis plant — significantly improved patients’ success rates. Smoking cannabis, the researchers noted, does not provide similar benefits to the highly-concentrated plant extracts, and cannabinoids showed no increased advantage in treatment unless administered after chemotherapy.